concepts from the management field to professional nursing practice roles. 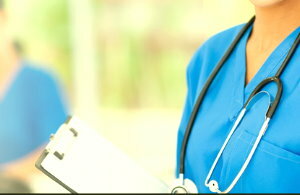 The purpose of this advanced standing program is to give formal educational credit for knowledge and/or ability gained through previous training or experience and enable registered nurses to become successful leaders, managers and deliverers of care to patients in health care environments. Students may be admitted to the RN to BSN program after they have completed General Education courses or be enrolled, concurrently, in General Education courses, which must be completed prior to completion of the BSN program, and with a minimum G.P.A. attained must be of 2.0 or better. GE courses are offered at community/city colleges.